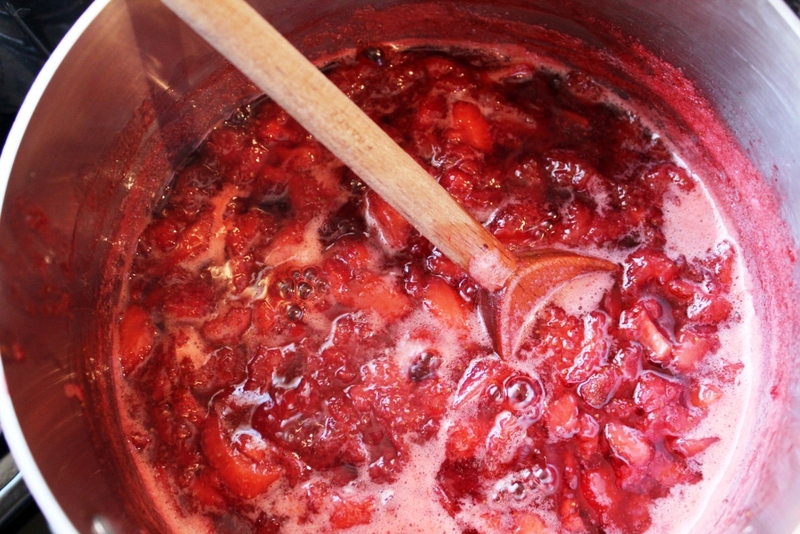 The strawberry jam simmers away in the kitchen, filling the whole house with its delightful sweetness. This entry was posted in Recipe and tagged cooking, food, food nerd, jam, Life, random, Recipe, scent, smell, stawberries, strawberry jam, sweetness by Julie "Phoren" Seyler. Bookmark the permalink.